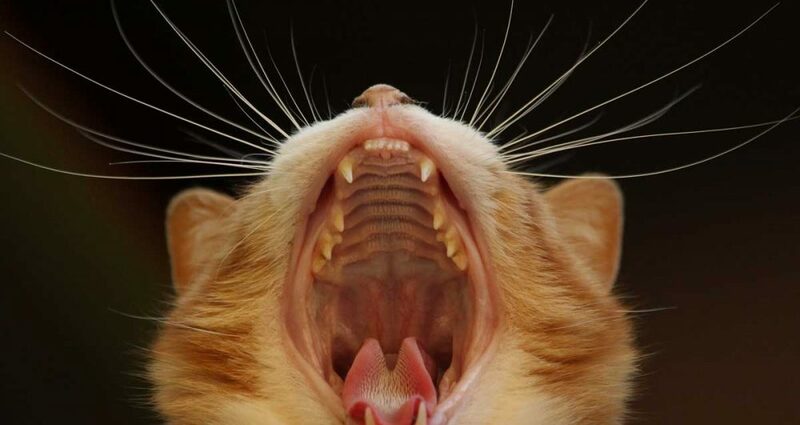 At Kingsway vets we are particularly passionate about your pet’s dental hygiene. We have the latest equipment to clean your pet’s teeth and give him, or her, back their friendly dog smile. Dental disease is one of the most common health problems diagnosed in cats and dogs. However, it is still under diagnosed and under treated. This is exacerbated by a “suffer in silence” approach which tends to be adopted by our pets. Frequently these problems are painful and if identified and appropriate treatment instigated can be readily made pain free again. So what can you do to prevent or treat dental disease? Monitor for any abnormal signs, including bad breath, change in chewing behaviour or sensitivity around the mouth. Bring your pet in for a 6 monthly FREE dental check. Discuss an appropriate home care regime with one of our lovely vets, tailored to your pet’s specific needs. A regular dental check is highly recommended. We (owners and your veterinary team) are our pet’s advocates. They rely on us to notice signs of disease and pain and act accordingly. Regular check ups and timely treatment can help to prevent chronic pain and infection and the need for extensive oral surgery. Don’t delay, book your pet a dental check up appointment now. You can call the clinic on 9 309 9993. Please speak to one of our staff members today if you are worried about your pet’s dental hygiene.